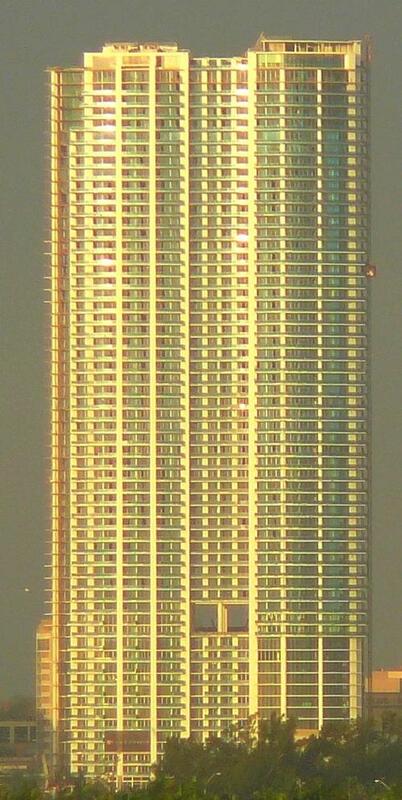 900 Biscayne Bay is a skyscraper in the City of Miami, Florida, United States. It is located in northeastern Downtown, and forms part of the Biscayne Wall, a series of skyscrapers visible from Biscayne Bay along the west side of Biscayne Boulevard. It opened for residential occupancy in early 2008. The tower is 650 feet (200 m) tall and has 63 floors. 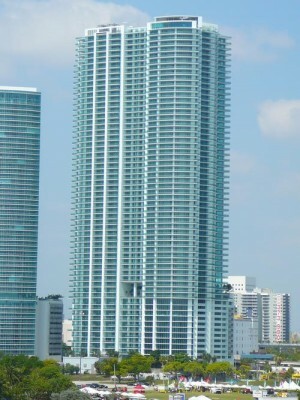 The building currently stands as the 4th-tallest building in Miami and in the state of Florida, behind the Four Seasons Hotel Miami, Wachovia Financial Center and Marquis Miami. It also stands as the 2nd-tallest all-residential building in the city and the state. 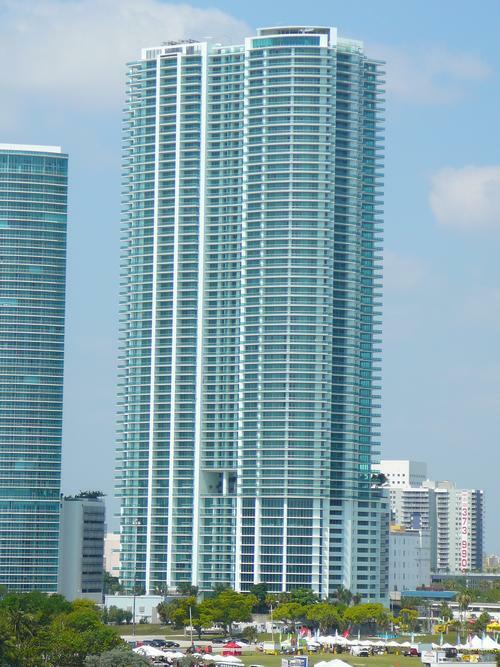 900 Biscayne Bay is located across the street from Ten Museum Park, another recently completed Miami residential high-rise, near Bicentennial Park and American Airlines Arena in northern Biscayne Boulevard. It is also adjacent to the Park West Metromover station. The tower is part of the series of skyscrapers along Biscayne Boulevard known as the Biscayne Wall. Originally planned to rise 712 feet (217 m) and 65 floors, the building went through a height reduction during its construction, with a decorative rooftop spire and two floors being removed from the final plans.